Actually, the opening title as shown in the film is P.O.W. Portrait of Wally. P.O.W. could just be the initials of the title Portrait of Wally, or it could stand for “Prisoner of War”, which is how the infamous Egon Schiele painting is described by this documentary. After watching this film, you’ll be inclined to believe the latter – director Andrew Shea shows us through historical evidence and interviews that this painting was, indeed, the last prisoner of World War II. We are shown the travails of this painting, from anecdotes about its original owner to its final home, and the many legal battles that chose its course over the years. 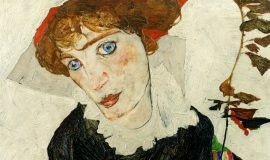 The painting was originally owned by Lea Bondi in Austria, seized under duress during the Anschluss (the annexation and occupation of Austria by Nazi Germany) by Friedrich Welz, and found its way into the hands of Rudolf Leopold, an art collector who had amassed an enormous collection of Schiele’s work. However, due to clerical errors – or outright theft, as some of the film’s interviewees allege – Bondi’s name was taken off of the provenance notations, leaving her with little recourse in reclaiming her property. 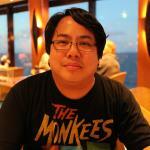 Documentaries such as these serve to enlighten and inform. Portrait of Wally seeks to shed proper light on how modern-day folks deal with Nazi looting – through the courts, restitution, protests, and finally, settlements. Shea captures as much of the fight as he can, albeit a little one-sidedly through no fault of his own; anyone not associated with the refutation of Bondi’s claim (such as the Museum of Modern Art in New York City, various politicians, and representatives from the Leopold Museum) declined to be interviewed for this film, so what we are left with is as even a story that can be told under the circumstances. Shea tries to incorporate as much material from the opposition through archival interviews, videotaped depositions, and documentation showing their side of the story. Walking a high-wire balancing act between one-sided attack and a fair argument, Shea manages to avoid amplifying drama for filmic purposes and lets the real drama unfold in front of us. How, exactly, did Bondi’s name fall off of the provenance records? To whom does the painting really belong? Why should we care about this? The answer to that last question is obvious; Nazi looting remains a bit of a problem almost 80 years after World War II ended. 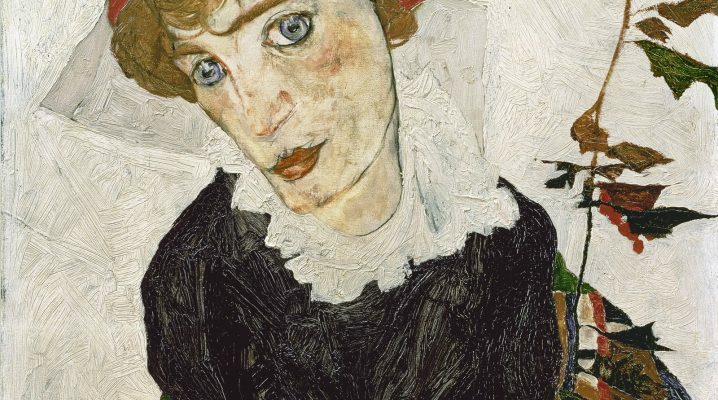 Anyone with a computer can look up the Wikipedia entry about Schiele’s Portrait of Wally. However, as real life is lived through experience and not through the limitations of a computer, it’s much better to see and hear this story being told. This documentary does much more than that – it exposes the truths and fictions of the journey of this portrait; it introduces the uninitiated to not only a new artist whose work they may not have experienced; and it is also a testament to the true and lasting legacy of art itself. Hero or villain, art speaks to us in many ways in all languages, and its power is undeniable.